A 2-ship of Israeli Air Force F-16s from Ramon Air Base, Israel head out to the Nevada Test and Training Range, July 17, 2009 during Red Flag 09-4. Red Flag is a realistic combat training exercise involving the air forces of the United States and its allies. The exercise is conducted on the 15,000-square-mile Nevada Test and Training Range, north of Las Vegas. Red Flag is one of a series of advanced training programs administered by the U.S. Air Force Warfare Center and Nellis, through the 414th Combat Training Squadron. Flying for Red Flag 09-4 begins July 13 and ends July 24. U.S. aircraft will come from Nellis and Creech in Nevada, South Carolina, Idaho, the United Kingdom, Washington, Oklahoma and Ohio. Aircraft types will include F-15s, F-16s, E-3s and KC-135s. In addition to U.S. aircraft, the Israeli Air Force will be flying F-16C Falcons. On 10 February, the Israeli Air Force (IAF – Heyl Ha’Avir) intercepted and shot down an Iranian unmanned aerial vehicle (UAV) that was flying within its borders. Soon after, the IAFdispatched its F-16I jetfighters in order to destroy the UAV control vehicle in Syrian territory. However, as the F-16Is engaged their targets, an intense barrage of anti-aircraft firewelcomed them. 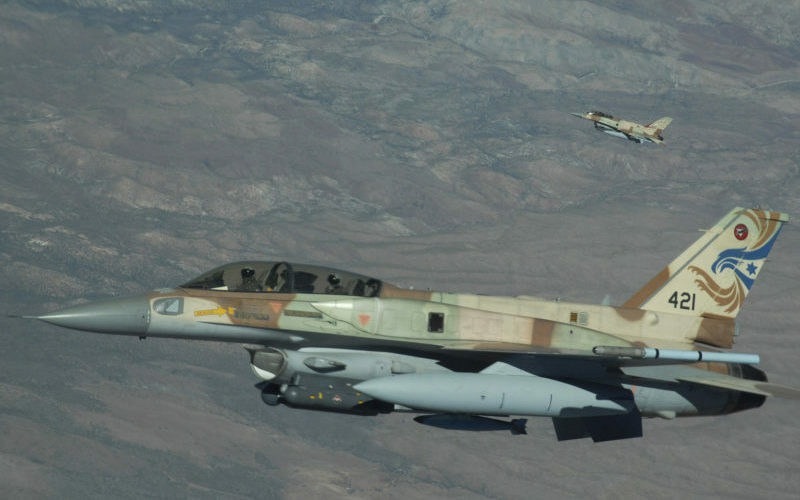 One F-16I was eventually shot down, while the two pilots managed to eject and landed on Israeli territory. In retaliation, Israel conducted surgical strikes against at least twelve Iranian targets within Syria. The year 2018 will see an increase in tension between Iran and Israel. This could potentially lead to a limited, regional conflict between Tel Aviv and Tehran’s proxies. Yet, while the anti-Iranian front tightens, a more direct confrontation might arise from the Nuclear Deal. Indeed, the dissatisfaction of Israel and the USA grows, since they believe the Deal is incapable of preventing Iran from getting nuclear capabilities. At the same time, Iran’s resentment towards the US is increasing. In particular, Iran accusesthe Trump administration of meddling in its business with other countries in order to counter the positive effects that the lifting of the sanctions ensued. Under such circumstances, the Nuclear Deal does not pay off and Iran would benefit from withdrawing. In this regard, Tehran warned its competitors that the world “would face another nuclear crisis, which would be very difficult to be resolved”, if the Nuclear Deal was to be scrapped. This article was first published on Global Risk Insights, and was written by Mauro Lubrano.